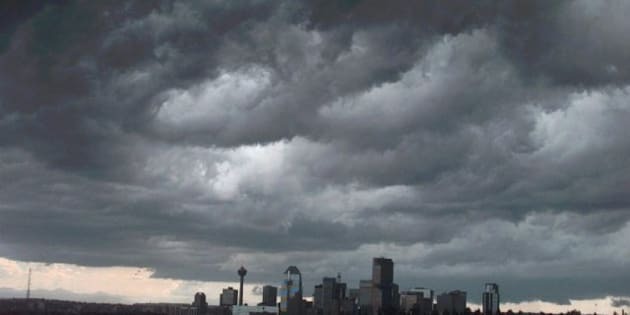 CALGARY - The Insurance Bureau of Canada says one violent storm in Calgary last summer accounts for half of the almost $1.2 billion in claims across the country this year. The bureau says the Aug. 12 storm with its high winds and flooding cost $552 million in insured damage — and claims are still coming in. Heather Mack, the insurance bureau's Alberta spokeswoman, says many of the claims were for flooding or hail damage to vehicles and homes. There were also business losses and instances of trees hitting houses. The insurance bureau is watching a growing trend for severe weather in Canada. In three of the last four years, storm damage claims have soared past a billion dollars.